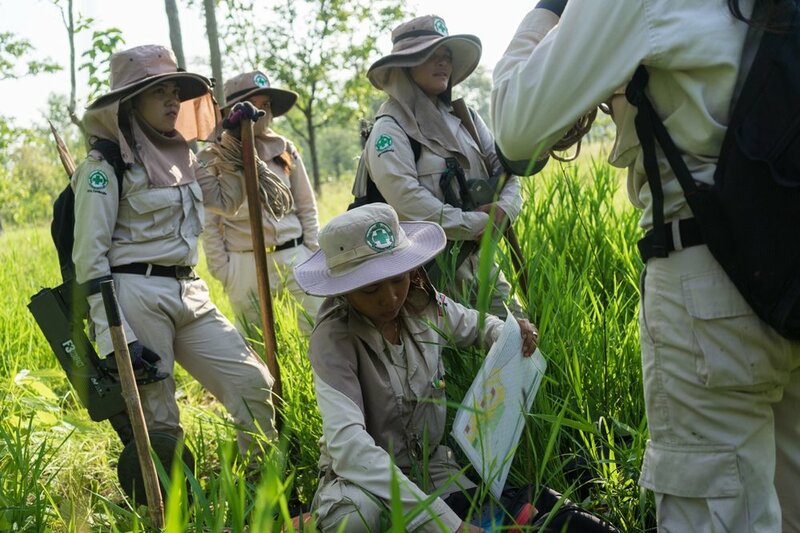 Every day in eastern Cambodia, a dozen young women are working to remove some of the last remnants of the Vietnam war: millions of unexploded ordnances (UXO). 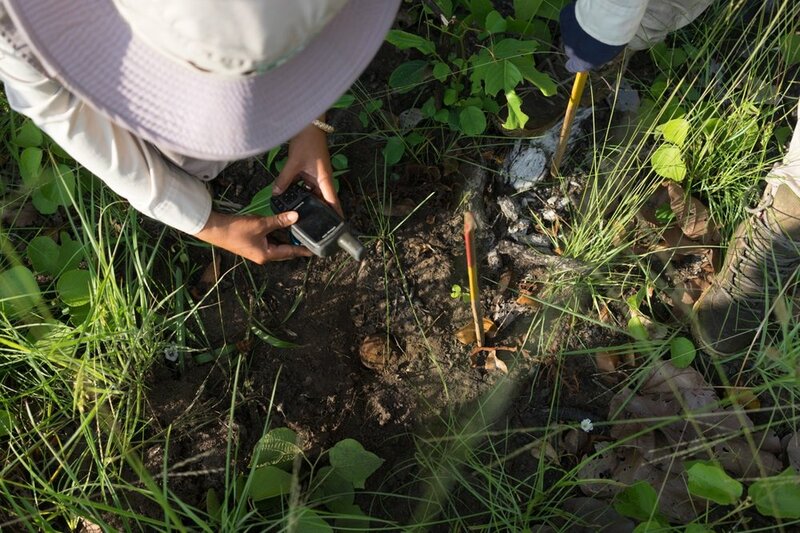 The UXO are the legacy of the US secret bombing campaign that saw 2.7 million tons of bombs dumped on eastern Cambodia as a means to dismantle the Ho Chi Minh Trail, a critical supply route for the Viet Cong that passed through the region in the 1960s and 1970s. 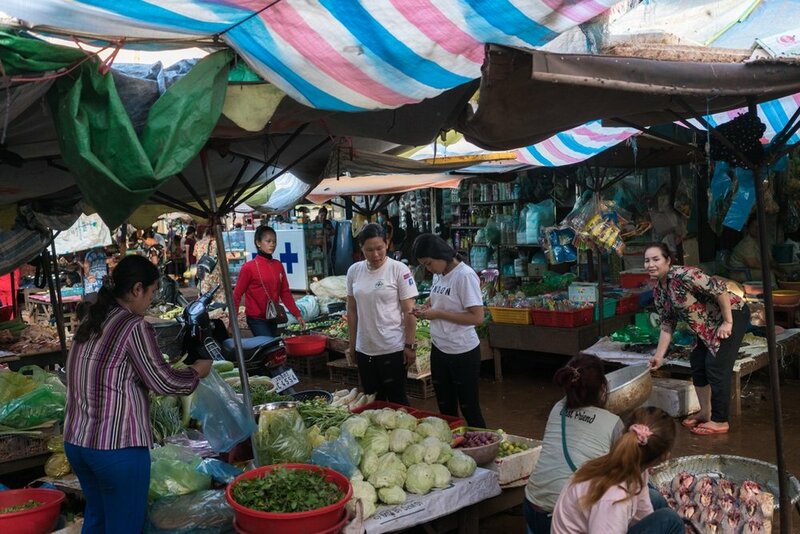 It was this campaign that led many to support the local Communists, the Khmer Rouge, which would have devastating consequences several years down the line. 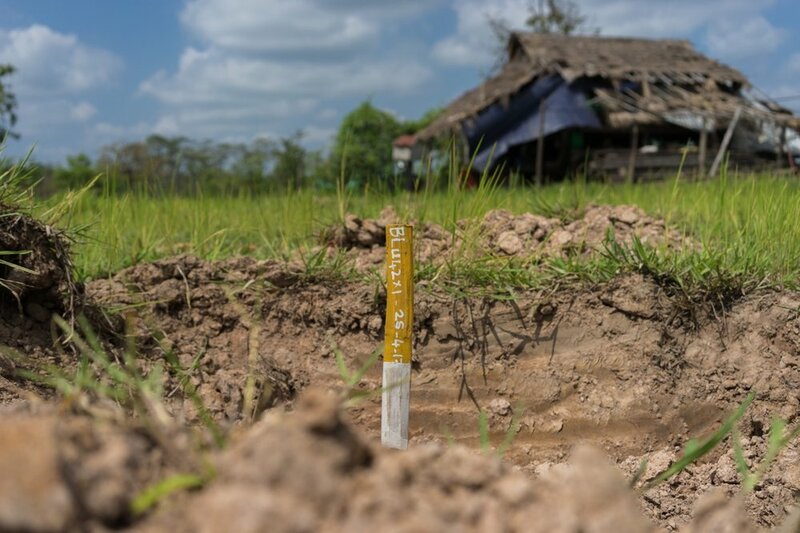 Forty years later, the UXO continue to impact Cambodians as 30 percent failed to detonate on impact and remained littered across the countryside. 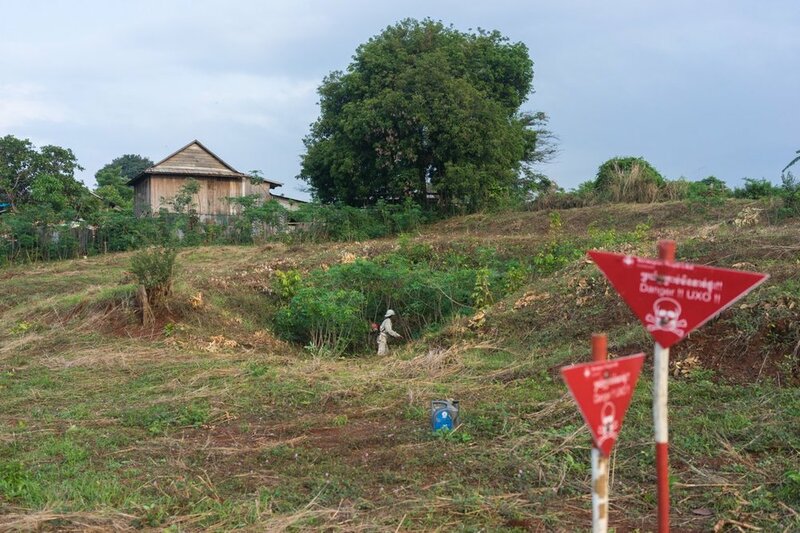 Of the millions of bombs dropped on Cambodia, some of the most dangerous and problematic are cluster bombs: each one dispersed 600 smaller sub-munitions, known as “bombies,” which has made the cleanup task even more difficult. 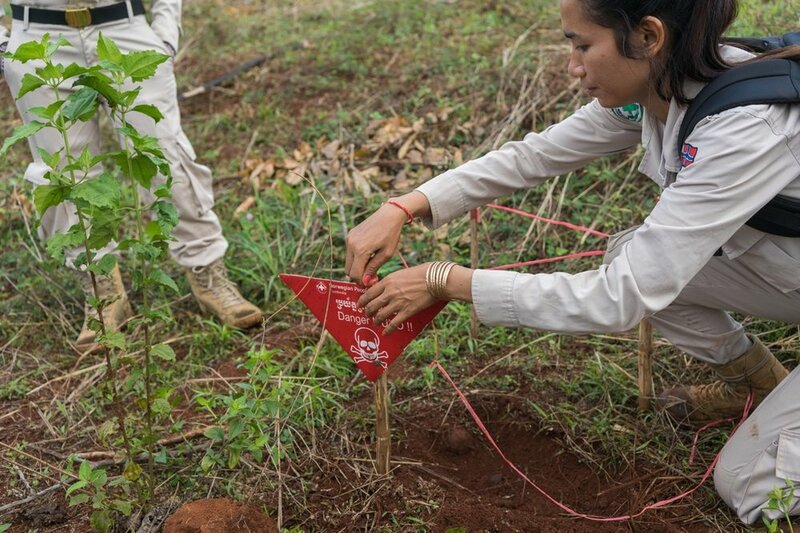 While more stable than landmines, UXO can still cause death or serious injury, especially when hit by farming equipment like a plow or hoe. 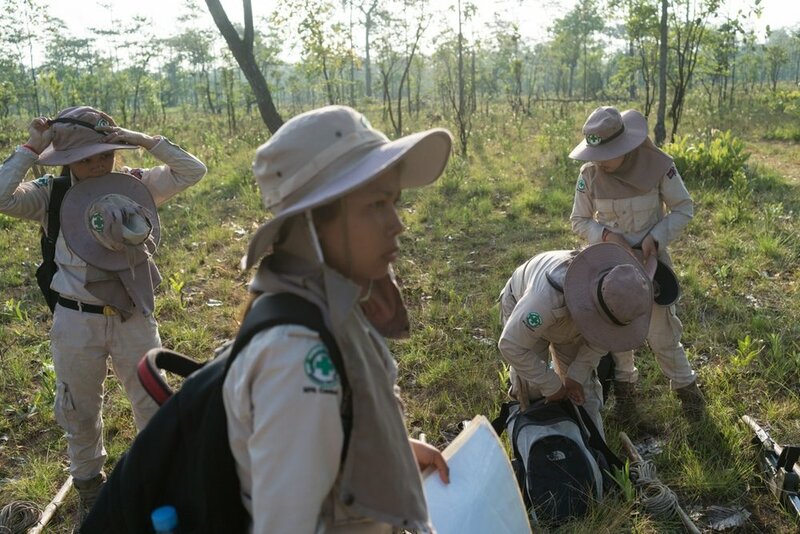 As part of an international cleanup effort, Norwegian People’s Aid (NPA) employs Cambodia’s only all-female survey teams to scan eastern Ratanakiri province for the remnants of the bombing campaign. 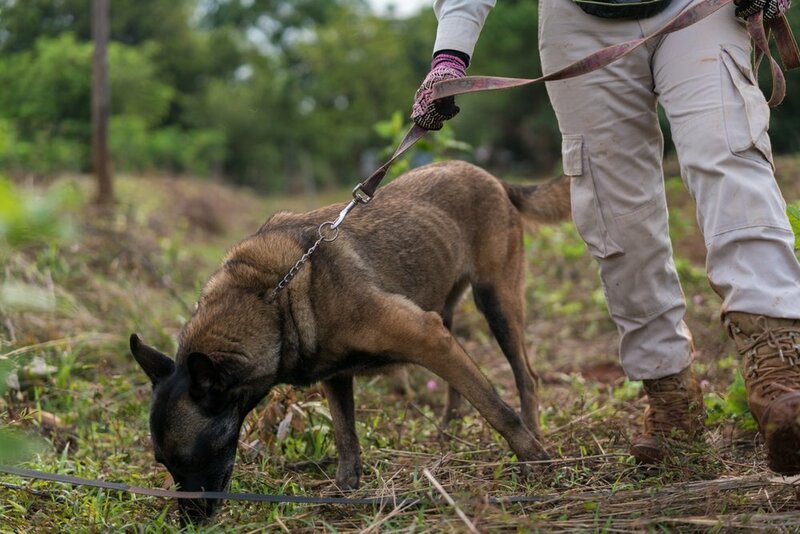 Women also work closely with male team members to clear areas zone by zone and now on dog detection teams, which are run by a female leader. 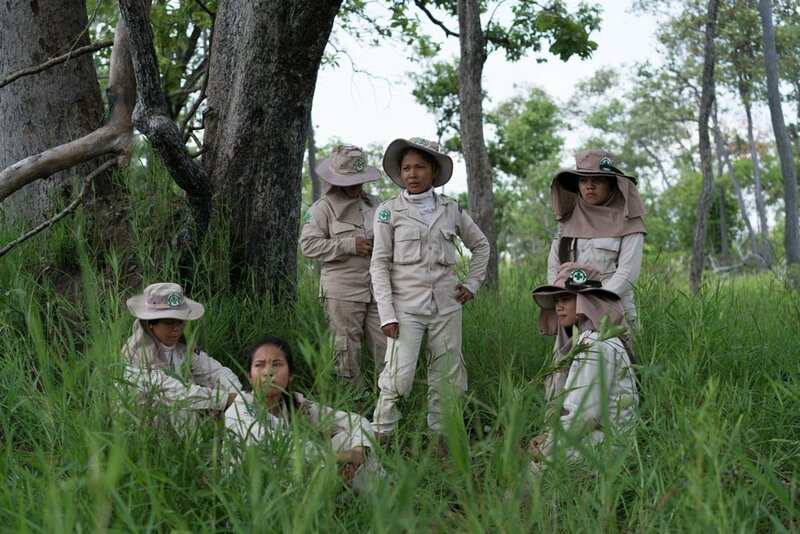 NPA, the NGO running this program, gets a substantial amount of funding from the US State Department and USAID, which together are the second largest donor after the Norwegian government. With Trump’s funding cuts to foreign aid, programs like these are in jeopardy – although of course the US government is responsible for the bombs to begin with. A story made together with journalist Erin Hale.